Here's a superb new online slots games from Microgaming that you can play. Who could say no to a big plate of pizza with mozzarella cheese and pepperoni on top? Or a large bowl of spaghetti bolognese with a few dashes of parmesan cheese? 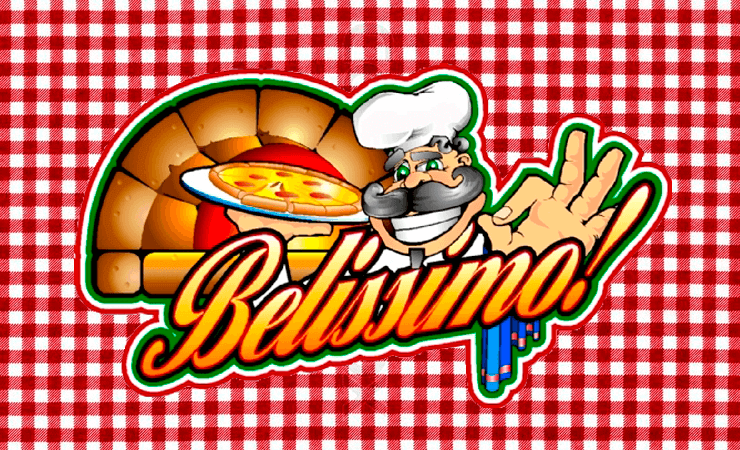 It's very doubtful to hear anyone say no to the pizza, the spaghetti, or the casino online slot game, Belissimo! 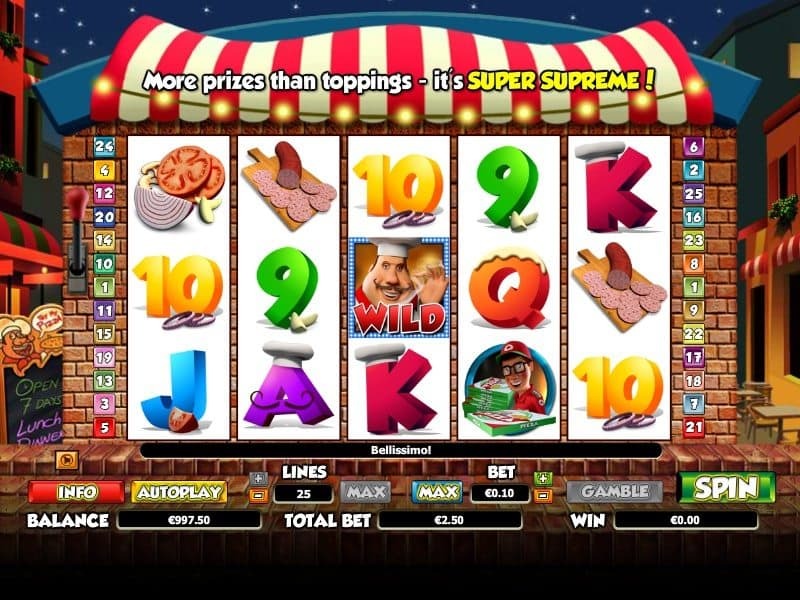 Everyone knows how classic and fantastic Italian food is, so it's no wonder that the guys behind Microgaming have made this classic 3 reel slot game with 5 paylines. There may not be many features that the players can utilise in this game, but they can be sure that the theme and huge jackpot prize can leave them drooling at the thought of winning big prizes. To which that they could use to buy some authentic Sicilian pizza after they've finished playing this Slots Games! For those that have been playing casino games for years, they would be familiar with the developers, Microgaming. For those that haven't and want to learn more about how the people behind the name have got themselves placed on the list of top global iGaming developers, prepared to be wowed! Microgaming has been active since 1994; around the same time, people have started to use Google. Therefore, they understand how the gamers play, what they want out of a game, and what makes them return to a particular game again and again. If the jackpot is the only thing that you have your eyes on when you're playing one of their products, such as Mega Moolah, Lotsaloot, and Major Millions, you'll be ecstatic to hear they hand out winnings the moment you've won the game! If you love promo's, get the best recent slot offers today. From all of the other games that the developers have created, Belissimo! Is one of the few that has the traditional layout and classical gameplay. You might feel a little bit overwhelmed by the amount of Italian food plastered on your screens, along with the massive paytable that takes up most of the right section. But don't worry, with its enormous food related symbols layered on top of the red & white chequered cloth you'd find in many Italian restaurants, you'll be welcoming all of the base symbols that will come your way, especially the jolly chef that's represented as a WILD. WILD Chef Symbol: This symbol can appear on any of the 3 reels which maximises your winnings when replacing any of the other classic slot symbols that would roll on the reels. Belissimo! Doesn't have any BONUS FEATURES or SCATTERS, but with the easy and effortless ways that you win big prizes with its high RTP of over 92%, who would want to complicate a classic game like this? Yes, the traditional casino game style of Belissimo! Can leave casino gamers wondering why such a great developer like Microgaming would make such a simple game, when many others have so many other BONUS FEATURES and SCATTERS that lead them to a quick jackpot. But remember, Italian food has always been simple, which is one of the reasons why people want more and more of it. Don't be afraid with the number of cluttered food dishes, chefs, and the paytable that will wobble across our screen, because they're what going to leave you with a big wad of winnings in your pocket!